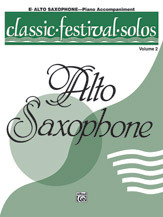 Classic Festival Solos (E-flat Alto Saxophone), Volume 2 Piano Acc. Classic Festival Solos, Volume II continues to afford the advancing student the opportunity to find performance materials graded from easy to more challenging, including exposure to a variety of musical styles. Many of these works appear on state contest lists. Contains: Advance of the Alto (Rousseau) * Arioso (Bach, arr. Rousseau) * Ave Verum Corpus (Mozart, arr. 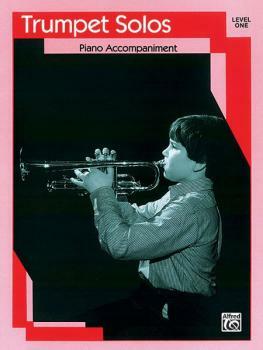 Rascher) * Ballade (Gee) * Calm as the Night (Bohm, Rousseau) * Contempora Suite (Young) * Matador (Girlamo, arr. Coggins) * The Oxen Minuet (Haydn, arr. Rascher) * Reminiscience (Walker) * Sax Ripple (Burgstahler) * Saxography (Luebke) * Tambourin (Gluck, arr. Rascher) * Traumerei (Schumann, arr. Rascher).